Extended your Keston boiler warranty from 5 to 7 years with this system filter. All boilers must be registered with Keston via the Keston website or the Keston installer connect app. The Keston System Filter is a standalone product for use with all Keston Combi and System boilers. 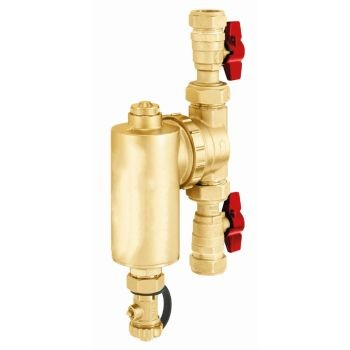 It is forged brass, fits vertical or horizontal pipework and is supplied with quality isolation valves.